Affordable Fencing Company is Jurupa Valley's best choice for expertly crafted yet affordably priced fences, railings, gates, patio covers, arbors, gazebos, and lattices. In business since 1984, we comply with the strictest of industry standards and have an impeccable track record for delivering long-lasting and attractive results on all of our fences and other outdoor structures. 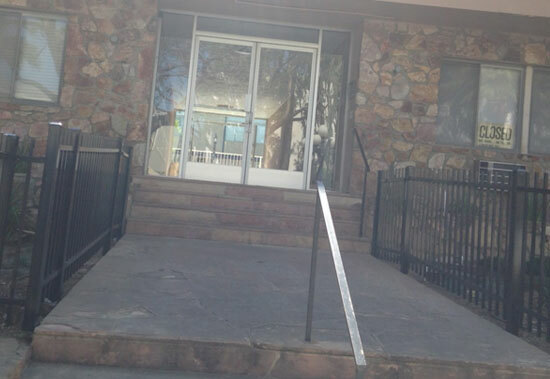 We exclusively use premium-grade fencing materials, durable hardware, and experienced craftsmanship. Combined with our outstanding customer service, fast turnaround times, and highly trained professionals, we have earned tens of thousands of satisfied clients throughout Jurupa Valley and the counties of Orange, Riverside, and Los Angeles. At Affordable Fencing Company, we have to expertise to meet the fencing needs of both residential and commercial clients, including property managers, business owners, homeowners, and homeowner associations. We specialize in the following types of fences: vinyl fences (backed by a 50 year warranty), aluminum fences (backed by a lifetime warranty), wood fences, glass fences, chain link and razor wire fences, and cinder block fences. In addition to fences, we also design, construct, and install gazebos, patio covers, arbors, and lattices. All of our fences, gazebos, patio covers, arbors, and lattices are custom made to meet the needs of our clients and give them the best possible value. Call Affordable Awning Company today for all of your fencing needs in Jurupa Valley. 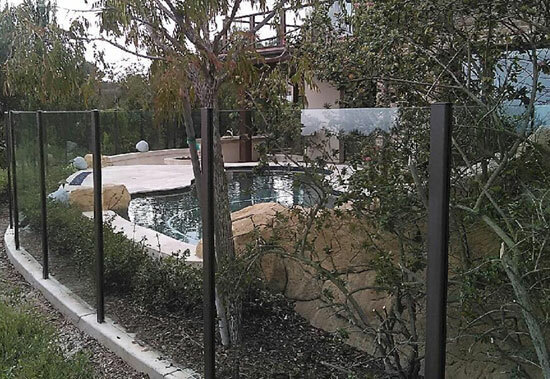 Whether you require a decorative glass fence around your pool or an aluminum fence with spear top pickets to deter trespassers, we can help. Additionally, we can sell our high-quality fencing materials directly to Jurupa Valley do-it-yourselfers and contractors at a great price. We are fully bonded, insured, and licensed. Available Monday through Friday, we gladly provide free estimates for all new installations and welcome general inquiries. In business since 1984, we have an excellent track record for providing our Jurupa Valley clients with superior quality fences made from vinyl (also known as polyvinyl or PVC). Backed by a 50-year transferable manufacturer's warranty, our vinyl fences and gates are very durable and practically maintenance-free, requiring no painting and resisting peeling, blistering, rotting, and rust. Accordingly, Jurupa Valley businesses, residents, and community associations can trust that they will get an excellent return on their investment. 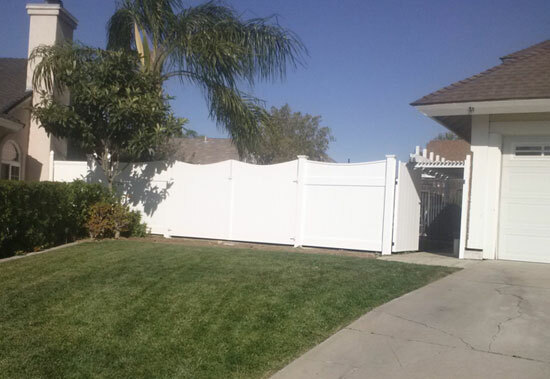 We tailor each of our vinyl fences in Jurupa Valley to meet the unique privacy and decorative needs of our clients. Call today and learn about our many vinyl fence styles, including our picket fences, ranch rail fences, privacy fences, and semi-privacy fences. We offer Jurupa Valley's best value in aluminum fencing as we provide competitive prices, timely installations, and long-lasting results. With over 30 years of industry experience, we are highly skilled at custom designing, building, and installing aluminum fences for Jurupa Valley homes, HOAs, and businesses. Choose from our selection of flat-top aluminum fences, spear-top aluminum fences, and matching aluminum gates, all of which come with an extensive lifetime warranty. Our aluminum fences in Jurupa Valley are also available in 5 different colors and three different grades that vary in size and thickness. Call us today for a free quote. Preserve your valuable views at your Jurupa Valley property with beautiful glass fences, railing, and gates from Affordable Fencing Company. When you choose us, you can be sure that your glass fence, railing, and/or gate will be fairly priced and expertly crafted and installed. Made exclusively from tempered safety glass, our glass fencing can be customized with etched design work and feature either polished top edges or vinyl top rails, the later of which comes in an array of colors and finishes. Stop by our showroom today to discuss your glass fence installation needs in Jurupa Valley. 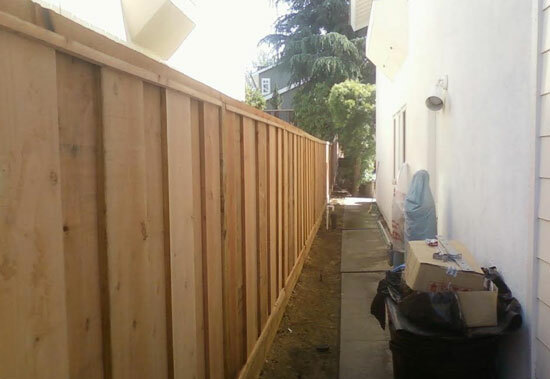 Call Affordable Fencing Company for all of your wood fencing needs in Jurupa Valley. In business since 1984, we are experts at building wood fences from redwood and other wood species, and offer beautiful painted, stained, and natural finishes. We've worked with a diverse clientele in and beyond Jurupa Valley that included homeowners, businesses, and HOAs, and produced fences that have been for privacy, security, property delineation, and aesthetics. Call today to learn more about our wood fences in Jurupa Valley. 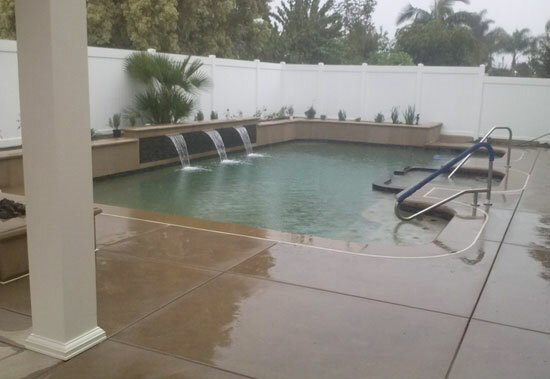 With expert construction, lasting materials, fast turnaround times, and very competitive prices, Affordable Fencing Company offers the best pool fencing sales and installation in Jurupa Valley. 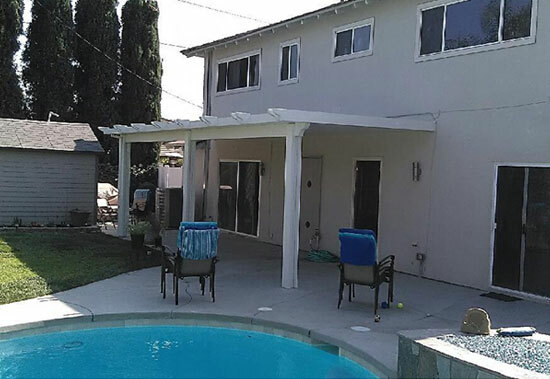 We have extensive experience building code-compliant aluminum, vinyl-reinforced aluminum, and glass pool fences and gates in Jurupa Valley and the greater Southern California area. Our team consists of dedicated and highly trained fencing professionals who comply with the strictest of industry standards for durability and quality. As such, pool fences installed by Affordable Fencing Company are sure to enhance your Jurupa Valley property for decades to come. Join our thousands of satisfied customers today by scheduling a free pool fence installation estimate at your Jurupa Valley location. Call Affordable Fencing Company for Southern California's best value in vinyl patio covers. Jurupa Valley clients can count on us for reasonable rates, expert craftsmanship, and gorgeous results. We customize each and every one of our vinyl patio covers in Jurupa Valley and specialize in solid-top vinyl patio covers, 50-50 vinyl patio covers, and louvered-top vinyl patio covers. As such, we are able to accommodate a range of shade preferences. We can also incorporate lights, ceiling-mounted fans, and decorative corbel ends. Our vinyl patio covers are designed to resist blistering, flaking, peeling, and rotting, and come with an incredible 50-year transferable warranty.